I tend to go through phases with my food. I become enthralled with some basic food that can be added to anything, served anywhere or made with anything. 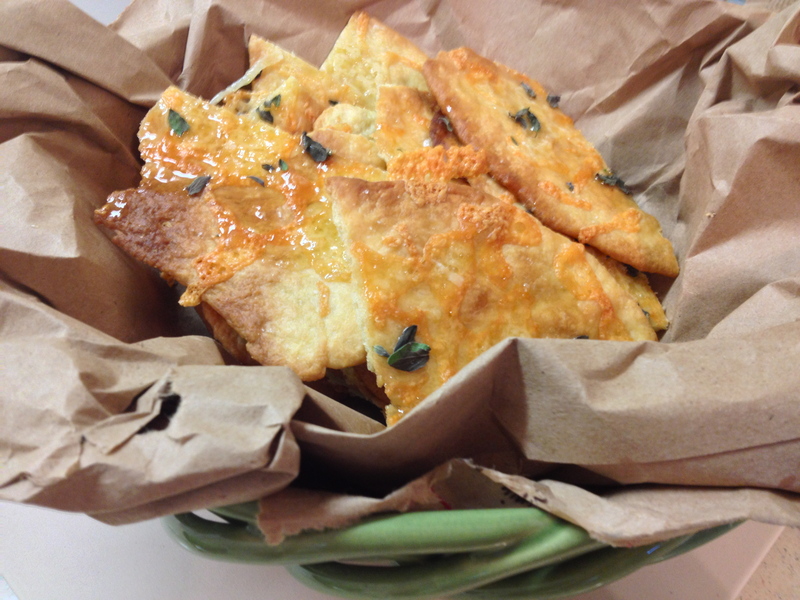 Flatbread is the flavor of the week! 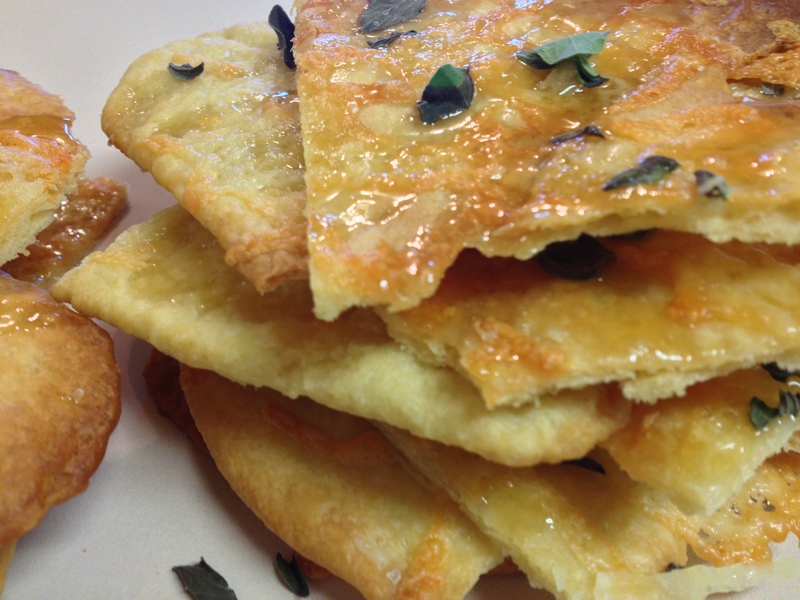 The combination of sweet honey, mellow cheese and fresh thyme is incredible. You can basically use any kind of cheese on these little crackers. I used Ballyshannon, which is a type of cheddar cheese, mildly sharp and slightly nutty. 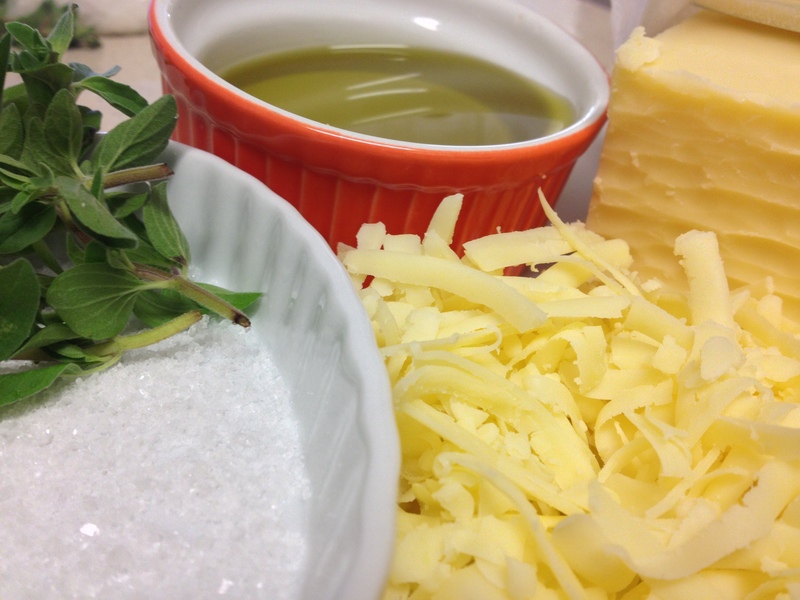 Parmesan would also be a great addition, but if you decide to go that route, I would decrease the salt. Gently knead the dough 4 or 5 times (it will be oily, but not too sticky so you shouldn’t have to use too much flour—avoid flour here if you can). 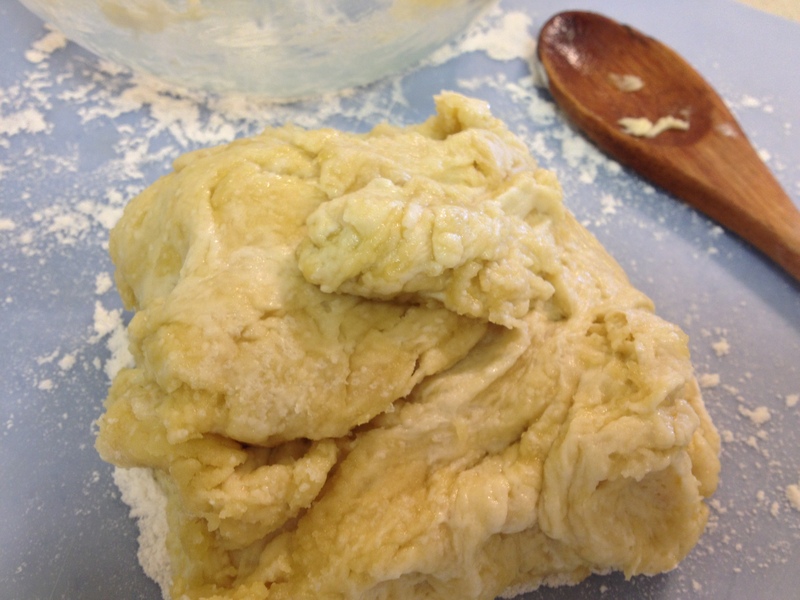 Divide the dough into 4 smaller balls. Roll out one ball onto a sheet of parchment paper. The dough should be very thin and rectangular-ish shaped. Bake for about 5-7 minutes or until the edges and thin spots are golden-brown. Remove from the oven and sprinkle the top with cheese. Return to the oven and bake for an additional 5 minutes. 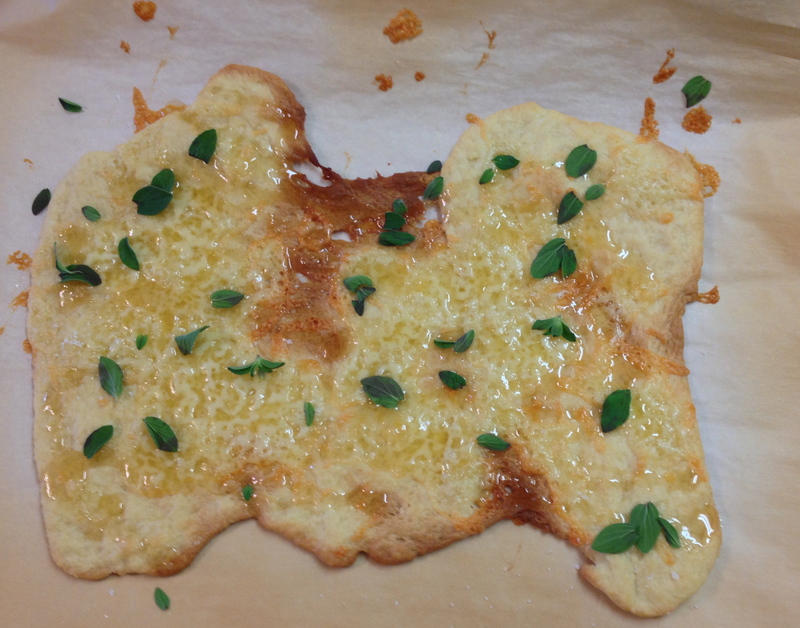 Remove (again) and drizzle the honey on top of the flatbread. The amount of honey is entirely up to your own interpretation. I put about two tablespoons on top of each flatbread and I could easily have doubled it, but it also depends on if you are serving it as an appetizer, accompaniment to the main course or dessert (yes, it works for all of them!). Sprinkle the fresh thyme and sea salt on top. Once the bread has cooled, cut it into quarters. Repeat the baking/sprinkling process with the remaining dough.